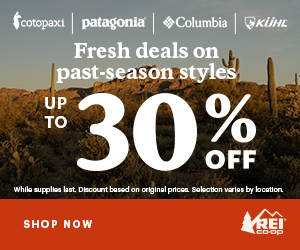 The Arizona Trail provides diverse terrain, solitude, and a true wilderness experience. Whether you’re just getting your feet wet or you’re a seasoned thru-hiker, the Arizona Trail will provide the challenges you need to get back into hiking shape. At just 800 miles, this trek is possible in a shorter time frame than one of the triple crown hikes. Since the trail is broken into “Passages”, it is possible to conquer this trail one passage at a time or even explore the sections as you please. Beginning at the US/Mexico border and ending at the Arizona/Utah border, this trail will give you experience hiking in a wide range of climates. The Arizona Trail is broken up into “Passages” from South to North. The southern terminus of the trail (Passage #1) is at the US-Mexico border. Since there is no direct way to get on the trail at the border, Montezuma Pass is the closest practical entrance. To get here from the town of Sonoita, follow AZ 83 south 30 miles to its intersection with FR 48. Turn left (south) onto FR 48 and continue 5.4 miles to FR 61. Continue east 8.8 miles on a rough dirt road to a large parking area at the summit of the pass. There is no vehicle access to the trailhead, so you have to walk from the parking area to the border where the trail begins. Getting to the northern terminus is similarly challenging. From the Arizona Trail Association website: head west on AZ 98 for 2.5 miles from Page to US 89 and turn right. At mile 6.4, you’ll pass Wahweap Marina, which offers camping. Cross the state line at mile 13. At mile 38 from Page, just after mile marker 25, you’ll pass through a roadcut and the highway will begin a big, sweeping curve to the right. At the end of the guardrail on the left, turn left onto a dirt road. This is 0.2 miles south of mile marker 26. Follow the dirt road for 10 miles, and then turn right (west) onto a well-graded dirt road. Continue 0.2 miles to a parking area, restrooms, and several campsites. The trailhead is on the left as you drive in. Park in designated spots only. Click here to see a map location of the closest coordinates. The Arizona Trail offers easy to moderate terrain, a variety of environments, and stunning vistas. The trail crosses through several plateaus as well as National Forests. The terrain is so varied it will include lush greenery and rolling hills as well as steep cliffs and views of the Grand Canyon. Each “passage” of the Arizona Trail offers a different adventure for thru-hikers. 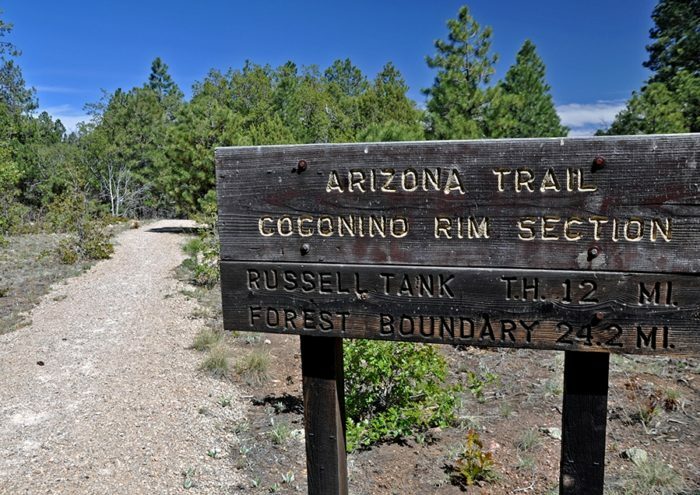 Hikers say the Arizona Trail offers both a challenge and a great experience. Hikers say that they enjoy the isolation of the Arizona Trail- hikers are much less likely to encounter “trail magic” here as they are on the Appalachian Trail. The feeling of self-reliance this creates is appealing to some hikers of the Arizona Trail. Since it is 800 miles, it is a little more doable than one of the big three and doesn’t require as much of a time commitment. Just as the terrain and environments are varied, expect to find a variety of climates along the Arizona Trail. Hiker journals recount weather changing from thunderstorms to snow over the course of a few hours, then to desert heat within the next few days. The Arizona Trail consists of 43 passages, each one different from the next. One hiker describes the Arizona Trail as a “collection of microclimates”, meaning that you can be snowed on in one mile and experience sunny, dry and mild temperatures in the next few miles. Summers along the Arizona Trail can be scorching hot, with desert temperatures rising to 120 degrees Fahrenheit. Similarly, winter is one of the wet seasons in Arizona and can includes rainy deluges or plentiful snow depending upon what elevation you are at on the trail. The obvious danger of hiking the Arizona Trail in the summertime is confronting the desert temperatures for long periods without cover. This sharply contrasts with the winter, where there is frequent and heavy snowfall on the trail. The ideal time to hike the Arizona trail is October-November and March-April. Temperatures are more agreeable, making for a significantly better hike. Southbound hikers will typically start in late summer/early fall so that they can experience the nice weather and still have access to the facilities at the Grand Canyons before they close for the season. By the time a SOBO hiker reaches the lower elevations south of Flagstaff, the temperatures have cooled off. The only downfall to this lovely time of year is that water sources can be dried up during the late summer and early fall. Northbound hikers will have the best luck starting out in the springtime, with March being the ideal start month. The springtime temperatures make for a great hike and the snow melt means that water sources are plentiful. Plus, by the time things really start to heat up in the summer months hikers will be into the higher/cooler elevations of the Arizona Trail. Permits are not needed throughout most of the passages of the Arizona Trail. However, there are certain spots where it may be necessary to obtain a permit if you plan to camp. These include: Colossal Cave Mountain Park (Passage 8), Saguaro National Park (Passage 9), and Grand Canyon National Park (Passage 38). Most can be easily arranged by phone and parks are generally eager to work with thru-hikers. See the Arizona Trail Association website for all of the information regarding camping permits. Water sources are far and few between on the Arizona Trail. Water does not occur naturally on most of the trail. The time of year has a strong bearing on where water can be found. The Arizona Trail Association website keeps a relatively current file on water sources and their quality. The most recent version can be found here. The Arizona Trail Association website offers a resupply document that outlines the latest options on the Arizona Trail. There are several resupply options along the trail, so read through the document that finds out which work best for you. Find the document here. 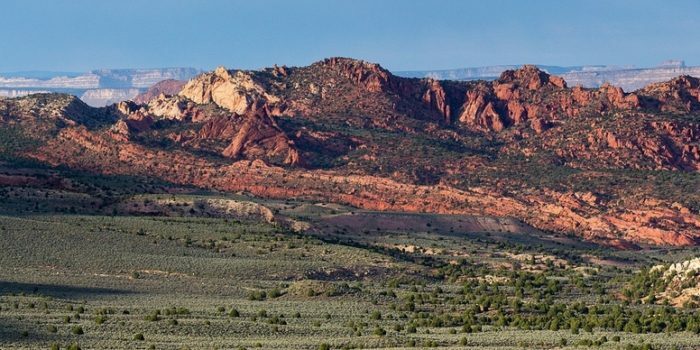 You can expect to see options like gateway communities, Post Office resupply locations, and different towns in varying distances from the Arizona Trail. Read through the list carefully to see which resupply options are available in which areas. This will help you plan out your resupplies efficiently and effectively. Some locations are on the trail, but may not have the services you need available. It is entirely possible to hike sections of the Arizona Trail. The long trail is neatly divided into Passages, so you can easily pick and choose which one(s) you’d like to conquer. Passage 28 covers some of the state’s most scenic territory, from creeks to canyons and historical sites. This 16.1 mile (each way) trek is a summertime favorite for hikers and boasts both popular campgrounds and more isolated camping spots for those who prefer seclusion. You’ll see beautiful canyons, lush greenery, and even a battleground site to explore if history is your thing. You might even catch a glimpse of Arizona’s state amphibian, the Arizona tree frog. This hike gets a moderate to strenuous rating, but is well worth the walk. Find more details about Passage 28 here. If scenic views are your jam, check out Passage 40: Kaibab Plateau South. At 20.7 miles (each way), this easy to moderate section has beautiful alpine meadows, lakes galore, and frequent wildlife sightings. There are several free-roaming buffalo herds in this area, if you’re very lucky you’ll catch a glimpse! Hikers have also noted plentiful water supplies here, but be aware that the Arizona Trail website advises that all water in this passage needs to be filtered. Find all of the details about Passage 40 here. If you’re ready for a challenge of a long thru-hike, but don’t have the time it takes to complete one of the triple crown hikes, the Arizona Trail might be the perfect match for you! 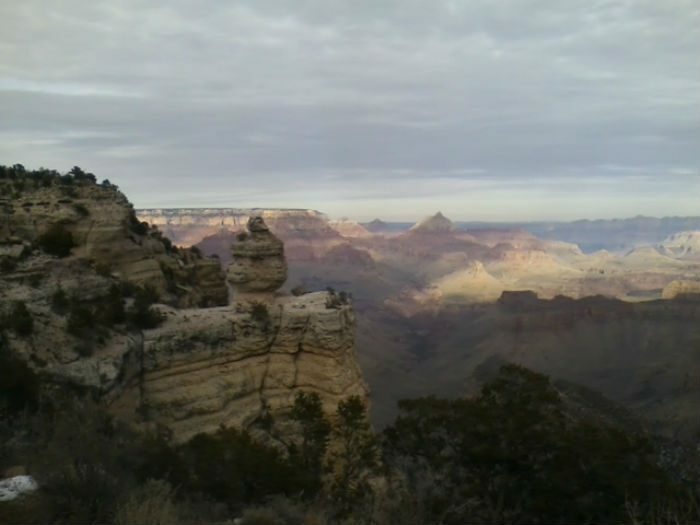 Plus, you hike through Grand Canyon National Park – just think about those views. You’ll also get the opportunity to taste some desert hiking. Keep in mind this thru-hike is the most friendly for hikers. Mountain biking and horseback riding are prohibited in some areas. If you’re planning on doing either of these things, do your research on where this is allowed. Some forums like the one found on hikearizona.com offer information for both first timers and experienced hikers. 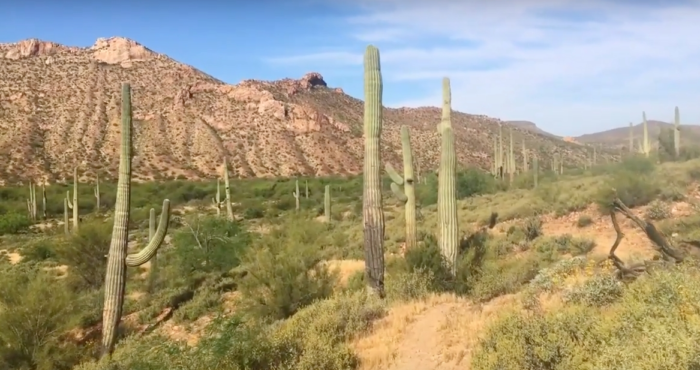 Lead image via this video that shows the entire AZT in five minutes. Worth a watch! Thank you for sharing. You’ve got me thinking! Man, this trail is looking so sweet to me. Seriously considering this as my next thru. Gonna do a 100+ mile section this month and check it out! Thanks for sharing. Looks stunning. Coming out from the East Coast. Planning to thru hike starting 23 March. This was very informative – thank you for posting this! I plan to thru hike this in the Fall.